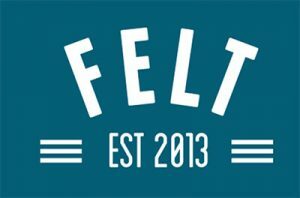 Felt Gaming is a new casino game developer, drawing players in with its selection of unique and cheerful roulette, blackjack and poker variants. We take a look at the brains behind Felt Gaming, explore some of the brands creations and discover where you can play Felt Gaming titles at the best online casinos on the Web. Established in 2013, Felt Gaming is a boutique developer of online casino software. It’s a relatively young company compared to some of the old veterans like Microgaming and Net Entertainment who have been servicing the online casino industry since the very beginning, but sometimes it’s that fresh blood that is needed to breathe some new life into online casino games. Felt Gaming is still starting out and therefore isn’t as popular as its more established rivals, but the collection of casino games Felt already has under its belt gives us confidence that this gaming brand is a big one to watch for the future. Felt Gaming casino titles are powered using HTML5 and Flash technology, making them available for instant-play with no downloads required. Games have also been optimised for mobile use, so you can play on your smartphone or tablet from anywhere you can secure a reliable Internet connection. 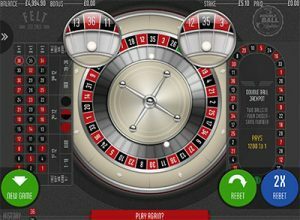 Double Ball Roulette – In this fun roulette variant, classic European Roulette rules are used, but an extra ball is added for a little more excitement. Once bets are placed and the first ball starts spinning around the roulette wheel, the player gets to launch the second ball into the mix. Extra bets are allowed on the second wheel, and if you’re lucky enough to have both balls land on your wagered outside bet you can win an epic jackpot of 1200 to 1 the size of your bet. More action, more winning potential and more engagement overall makes this Felt Gaming variant an instant favourite. 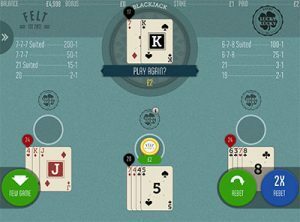 Suit ‘Em Up Blackjack – This isn’t necessarily a separate blackjack variant, but instead one of the several unique side-bet blackjack games offered by Felt. Standard American Blackjack rules are used, but players have the option of placing an additional Suit ‘Em Up side bet which pays out 50 to 1 if the first two cards dealt are of the same suit. It’s popular with players who look for blackjack variants with a Perfect Pairs side bet, as the Suit ‘Em Up side bet actually has a better hit percentage than Perfect Pairs while adding an extra thrill to each deal. These games can be sampled at our recommended Felt Gaming casinos for free in practice mode, so you can get a hang of the Felt Gaming platform and familiarise yourself with any new rules before having to risk any of your own money. If you decide to go ahead and play for real money, plenty of safe deposit options that are processed on the spot are available. As Felt Gaming is still building a name for itself in the online gaming world, games aren’t that easy to find. However, the fact that Felt Gaming software is available at Leo Vegas Casino is a huge testament to the quality and reliability of this software brand, as Leo Vegas is one of the leading, most trustworthy online casino sites in the business, offering only games from the best and most secure software developers. Leo Vegas also offers an award-winning mobile casino which offers a selection of Felt Gaming titles for play on the go, and extends an excellent welcome bonus to new players who sign up for an account and make a real money deposit for the first time. Unfortunately, due to region restrictions, not all players are accepted at Leo Vegas Casino. If you are unable to sign up at Leo Vegas to give Felt games a try, read our guide to global online gambling laws to discover the best online casino sites accepting players from your country. 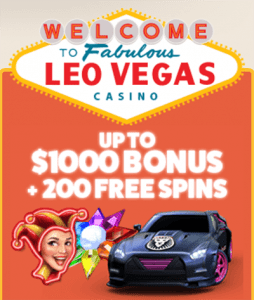 Eligible players can sign up to play Felt Gaming titles at Leo Vegas Casino and claim a new player welcome package of up to $1000, plus get 200 free spins to use on selected slot games. If Leo Vegas isn’t available to you, check out our list of the best online casino sites for our top-rated real money alternatives.